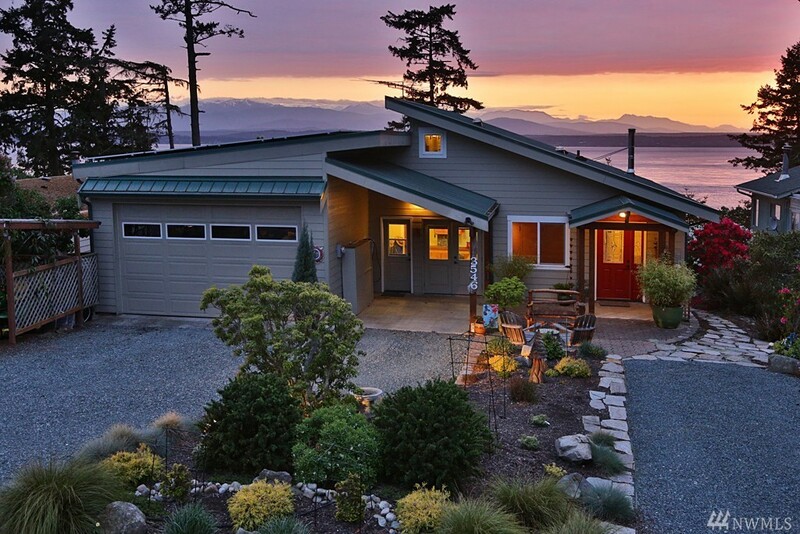 Commanding unobstructed west views of Puget Sound & shipping lanes from this zero energy, certified green home. Features include 16' vaulted ceilings, beautiful gardens, solar panels, plug-in station for electric car, 5 zones radiant in-floor heat, bamboo floors, 2 hot water tanks, whole house air exchange, granite/stainless kitchen, 2 master suites, office w/Murphy bed, loft + exercise room. Reach out & touch the Olympics from your Trex view deck, enjoy the community beach & boat launch too!